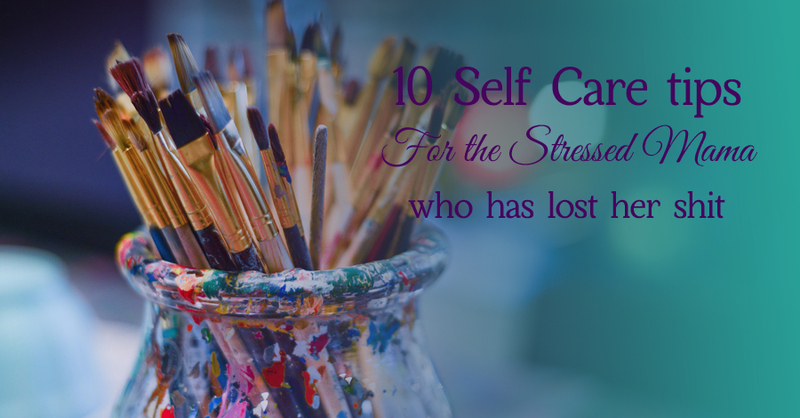 Inside - Self care isn't selfish, it's essential to our wellbeing. And it's vital for our families to function as whole units. For children to be happy, they need a happy mama. I saw you, sneaking out of the school grounds via the car park, hoping no one would see you. But the tissue in your hand, and the slump of your shoulders told me something was wrong, and I reached out to hug you. Thank you for allowing me to put a smile back on your face, even if it was only for awhile. the pressures of your job were a bit more than you expected this year. your house needs to be spotlessly clean, and it's your job, not a house cleaners. your husband is a great support, and your doctor isn't a pushover, even if you wish he was. you're a Type A perfectionist who needs to let go. you feel like you're letting everyone down right now. But please hear my words - if you get sick, your family gets sick with you. So while you feel you're letting everyone else down, really what's happening is you're finding the space to change some things so your family stays whole. Because it really is true - without a happy mama, children can't be happy. I'm sure your doctor has told you it's time to start some self-care activities as part of your recovery. And I know your Type A personality is trying to figure out how you will ever have time to fit self care in when you go back to work. But self care really isn't about bubble baths and mani-pedis. Self care is mostly about the daily routines that help keep us mentally, physically and emotionally healthy. (But every now and then it's about treating you.) Jess McCallum, Confident Life. Self care tip 1 - go to sleep at a reasonable hour. Sleep is vital to help a sick or worn out body, and everything feels better after a good night's sleep, so why is it always the first thing that gets cut when life gets tough? If you struggle to fall asleep earlier, start teaching your brain a bedtime routine. Get an essential oil blend happening in your diffuser that is only a bedtime blend, and pop it on half an hour before bedtime, so your room is filled with the smell. Try a brain dump to get everything out of your head before you sleep. I've heard countless stories of people who swear by this trick, they say it stops their brain from thinking things over and over, because they've been able to let it go until morning. Self care tip 2 - change your eating habits. When our bodies and brains are stressed, it's easy to eat all the bad sugary foods. But taking the time to prepare better meals for ourselves and our whole families has an impact on everyone's wellbeing. If a complete overhaul feels overwhelming (because every Type A wants it perfect right now!) choose to do one thing today that you can repeat tomorrow. Eat an apple when you walk to school. Just one small change can start you on a better eating path. Self care tip 3 - drink more water. I know, again with the captain obvious! But it's been a crazy hot March this year, and very few of us actually drink the 2-3 litres recommended, especially if we're in air conditioning all day, because it doesn't feel that hot to us. So grab yourself a bottle, fill it up with cold water, and chug it down right now. Go on, I'll wait. There, that feels better already, doesn't it? You can feel your brain waking up as the water starts moving around your body, and as you start to get more fluid into your body, that feeling will become more common, until you really notice when you have fallen into bad habits again, and grab another bottle of water. Sitting in an office or standing in a supermarket and doing our jobs doesn't help our bodies stay physically balanced. 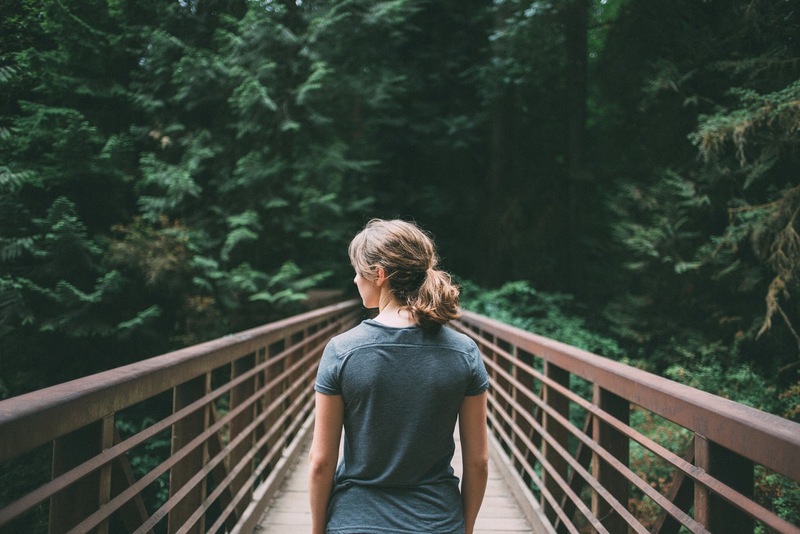 While there's some studies that show standing desks can be great for helping with core stability, moving all your muscles is still vital to wellbeing. A walk around the block can be enough to get you started and moving, but 30 minutes a day should be your goal. But you'll be happy to know incidental exercise totally counts! Park the car a bit further away from the supermarket, and walk further. Run up and down the stairs in a race with the kids to the bath. Just get moving, you will always feel better for it! Whether the waves or the trees whisper to you, it's a well know fact that us city dwellers don't get outside enough. But returning to nature, can help you gain perspective, and gives your body a much needed dose of vitamin D to help you absorb calcium. Make it as simple as a quick trip to the park with the kids, or as elaborate as a 2 hour drive with a hike to a waterfall at the end, just get yourself out to your happy nature spot, and relax. Unlike the diaries we kept for 5 minutes when we were 13, a journal can help us sort through the thoughts in our heads, and find clarity and solutions to problems in a way that isn't always possible when we keep everything inside. Journals can be guided, through a series of questions, or free-flowing. Both methods can work well, but if your Type A personality would prefer some guidance, start by asking the basics - who, what, where, when, why, how. Tapping into a creative spark can be a great form of self care. Whether it's taking the time to bake a cake from scratch, or learning a new hobby, that spark can help us find our flow state, and ease the worries of our minds. But the real key here is learning to give yourself permission to do it. You are not failing your people if you take an hour to bake a cake. You are not neglecting work if you discover a new love of making jewellery. You are creating space for your brain to find a calmer space, and resting yourself ready to come back tomorrow fully recharged. Supportive husbands should be bottled up and shared with the world. But as women, we can be very isolated in our worlds of kids and jobs and household chores and life. Finding a supportive group of people can help take the load off our minds. They make us laugh, and wipe our tears away, and listen to our stories. But I get it. You've been hurt by someone you thought was a friend, and now you find it hard to open up to others. I feel your pain. It happened to me, too, more than once. But the only way to find your supportive tribe is to be vulnerable and take the risk. I think that scares your Type A personality more than anything else. Risk taking goes against every fibre of your being. Go on, try it. You never know who you'll meet in the process. Maybe your new best friend. Just the simple fact that you were so sad this morning tells me you are listening to your doctor right now. But for all those mamas who don't (me included! ), listening to your doctor when your health is at risk really is vital. Whether your doctor says "take these tablets for high blood pressure" or you need two months off work to lessen your stress, they only want what's best for you as a whole person. Self care tip 10 - Do it more than once! Here is the most important rule about self care. You can't call it one and done. The best way for self care to become a permanent fixture in your life is for it to become habit. That means doing it with great regularity. Meeting your bookclub on the second Saturday of the month for 16 years constitutes self care. Going for a walk at 5am every day before work constitutes self care. Spending time with your journal before bed every night constitutes self care. Self care is every single day, in every thing you do. Schedule it into your planner. Create a habit stack* to make sure you do it. Write down your routine every single day, so it stays in your head. But it needs to be more than once. Even more than three times, before it becomes a habit. Before you can say to your doctor "please let me go back to work, I'm ok."
Which thing will you implement today? * a habit stack is about grouping things together to grow a habit. It's often why smokers are encouraged not to drink when they are trying to quit, because drinking and smoking often goes together. Creating a habit stack helps support a new habit's development. For example, I'm trying to eat more fruit, and I walk to school every day, so I created the habit stack of eating an apple when I walk the kids to school. What an absolutely brilliant post Cate. Some great advice here, us Mums are too hard on ourselves and if we don't take care of ourselves, we can't take care of any one else. Thanks Deb! I hope my mum-friend can find some comfort from the words, too.